Between the Casino of Monte Carlo and the sea, the Fairmont Monte Carlo 4 stars is one of the bigger luxury hotels in Europe. Located on the track of the Monaco Formula 1 Grand Prix, just on the famous hairpin curve, you will have there a unique experience. The hotel welcomes you with its 602 rooms, suites and residences as well as 4 restaurants (Nobu, Horizon, Saphir 24 and Nikki Beach (open in summer)), the bar Saphir, spa and fitness center, 18 meeting rooms and shopping arcade. In 1975, Her Serene Highness, Princess Grace inaugurated the opening of the Loews Monte Carlo that became in 1998 the Monte Carlo Grand Hotel and after the Fairmont Monte Carlo. 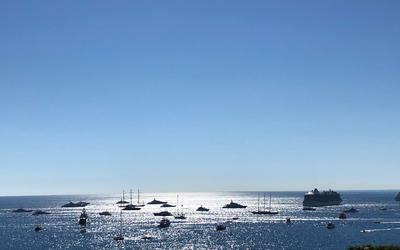 A stay at the Fairmont Monte Carlo is synonymous with beauty, luxury and sophistication. The hotel Fairmont Monte Carlo is close to : - the Casino - the Galerie du Metropole commercial Center - the Grimaldi Forum - the auditorium Rainier III - restaurants and bars that surround the Casino's Place. This room features a private, furnished terrace with views of the sea and a dining area. The marble bathroom has a bathtub and a shower. This room features a private furnished terrace with views of the garden and a dining area. The marble bathroom has a bathtub and a shower. This suite decorated in Mediterranean colours, features a view of the sea. It includes a lounge with sofas and 2 bathrooms. 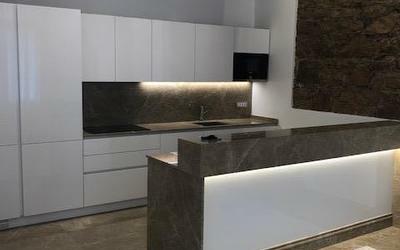 It has 2 private, furnished terraces with a dining area. Extras include 3 telephones and 2 interactive TVs. This spacious room includes a furnished terrace with a dining area. The marble bathroom includes a bathtub and shower. Air-conditioned room with a balcony offering a unique view of the Grand Prix of Monaco, satellite TV and a minibar. The private bathroom is complete with free toiletries and a hairdryer. This twin/double room has a minibar, cable TV and bathrobe. 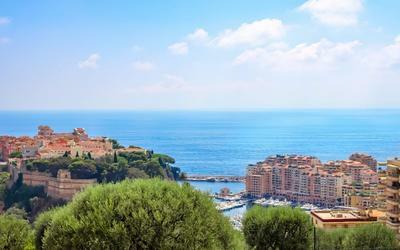 The Fairmont Monte Carlo is a short walk from the Place du Casino in Monte Carlo. 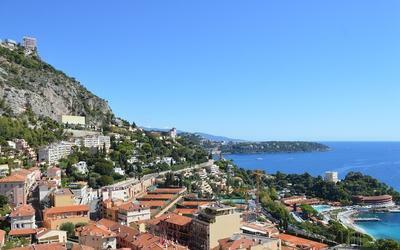 If you arrive from Italy by the Basse Corniche, turn to the Country Club and then take Avenue Larvotto then exit to the Portier, avenue des Spélugues and the Casino. If you arrive from the Port of Monaco you can either follow the sea, passing under the Fairmont’s tunnel, then turn left at the first roundabout towards the Casino, or go through the Casino's Square and down the avenue Spélugues. If you arrive in Monaco by helicopter from Nice airport you can take the free shuttle from the heliport, take a taxi or book a limousine.